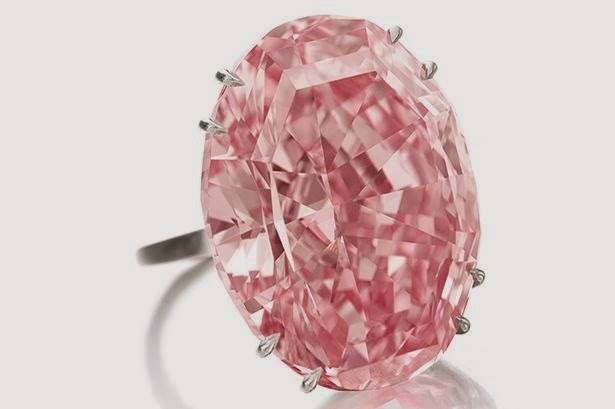 The 59.60-carat pink sparkler diamond will be put up for auction today at Sotheby's in Geneva and is expected to break the previous record of £28.5 million. If this so happens, it will become the most expensive diamond of the world ever sold. Experts hope it will break the £28.5 million record set by the Graff Pink diamond three years ago, which is half the size of the Pink Star.